To order products please contact our office at (306) 569-9696. Online ordering coming soon. The Transportation of Dangerous Goods Act and Regulations is a comprehensive body of legislation that governs the handling, offering for transport and transporting dangerous goods in Canada. This guide contains all revisions that have been made up to the time of publication and provides information to assist in understanding and complying with the requirements. It is intended for employees of trucking companies and others as a reference and to supplement training provided by employers. This pocketbook helps satisfy the requirement for dangerous goods/hazmat shipments be accompanied by emergency response information. This book is only published every four years and assists with emergency preparedness, planning, and training. Guidelines for Drivers, Carriers & Shippers. This manual is intended as an aid, a practical reference, and an informational guide. 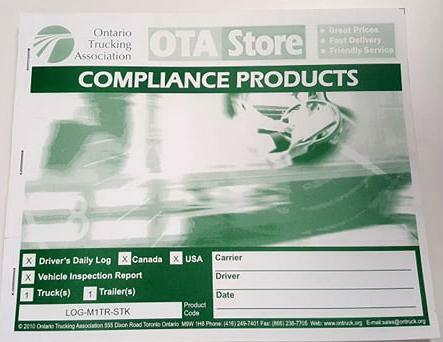 The handbook provides information to help drivers and their supervisors understand and comply with the hours of service regulations in both Canada and the United States. This handbook is a field guide and reference for securing cargo on commercial vehicles according to the standards in effect in both the United States and Canada. This handbook will help you stay in compliance and safely load and secure various types of commodities.